I searched a lot on Fishbase.org and could not find it. Thanks Bob for getting back to me so quickly. I have read your site for 14 years now and have recommended it as a go to when I worked in the aquarium trade for 6 years. The irregular shaped spots/growths/blotches have increased and have been growing slightly and slowly in size. Some of the blotches are white and flush with skin, some are protruding up to 1 mm off the skin surface. They vary in size and are kind of circular/oval, but not uniform in shape. Two near the abdomen are looking like they may be kind of a lesion (white around the circumference and in the middle a little tiny bit of off purple colour. Those two were flat and now are becoming like growths. Those two are now growing off the surface of the skin maybe a 1mm. Some of the spots have been there in the same location for three weeks and have increased in size some have been there just as long and have not increased in size. There are some small (1mm or less) on the head, but once I did another freshwater dip for 12 minutes, they seem to have changed from a white colour to a more translucent colour. They are still bumps though. When I did the freshwater dip (yesterday morning), I could not see anything fall off. I let the water settle and still nothing on the bottom of the bucket to the naked eye. I have attached some photos that I was hoping may help. I have ruled out Ich, since they were increasing even though the salinity was 1.008 (used a calibrated refractometer). not sure where to go from here. Should I try a freshwater dose with Bifuran+ for a minute or two? Try a dip for 45 minutes at the present salinity of the tank (1.012) with Bifuran+? Obviously I am assuring a balanced diet (new life pellets, ocean nutrition formula 2, Mysis, and Nori soaked in Kent garlic, Zoë, and Zoecon) and good water quality (ro/di biweekly 25% water changed). He is still eating, not as ravenously as he did when I got him, but is still eating. He is active, breathing at a normal rate. Never seen him scratching. On occasion he may flash his fins. It's is seeming harder for him to swallow the Newlife pellets. He takes them in and spits them in repeatedly until he eats a few. He did not seem the have this difficulty before. I have some better photos to send along with the previous email. Sorry, just thought you would need the best photos possible. So skip all meds (Bifuran and Cupramine) just raise the salinity to say 1.024-25 like the red sea? Once the environment is great, the fish should heal in time. Would I be able to get him out of the quarantine (once salinity is restored and been observed for at least 2 - 4 weeks) even if he is still showing bumps and put him into his 180 gallon future home? Hi Crew – hope all is well. to my 96x30x30 (375 gallon) tank ... The BIG players in the tank are 5" Majestic Angel, 6" Regal Angel (Angels get along fine), 7" Blonde Naso and the most recent addition (about a 6 months ago) a 5" purple tang. As suspected, the purple tang has become the most dominate fish, not attacking/harassing, he just makes sure everyone knows he's the boss. I initially thought the purple tang would be the last addition to the tank but I’m thinking a Regal tang could work. If so, would a small +/- 2.5” Juvenile have a better chance of being ignored by the big players, or should he be much bigger to compete with the BIG players (after QT of course). Welcome your wisdom as always. Am I asking for trouble by considering a couple/few of the gorgeous Chaetodon semilarvatus to this same group? There are currently 4 in QT at the LFS, approximately 2.5" in length. went into the display about an hour before lights out last night and had to deal with Mr. Zebrasoma on occasion, both frontal and caudal posturing. Displaying a few scraps this morning from wedging within the rocks overnight I suspect - didn't appear to be scalpel wounds . Here we are 24 hours after introduction and I just witnessed them swim within 2" of each other as if neither existed. I've seen a few quick bolting lunges from Mr. Z today, but they have continued to minimize as the day went on. I'll continue to observe closely over the next couple days, but I'm hoping the worse is behind me. In regards to introducing one or more Chaetodon semilarvatus, I've typically seen them singly or in pairs. Would 3 or 4 coexist/group together considering the 375 gallon volume. Does strength in numbers also improve their chances with Mr. Alpha Zebrasoma xanthurum? In closing, I remember asking my first question through this forum over 10 years ago in regards to a sump design on my first (90 gallon) aquarium. I had just finished "The Conscientious Marine Aquarist" soft cover for the first time (of many). I was completely surprised (and so grateful) when I received a response from yourself! I'm now the owner of a well used, updated hardcopy version and would just like to say Thank You for all your work towards a hobby that I love so dearly. I've considered an Asfur angelfish in the past but was unsure of how he'd fit in with the existing 5" Majestic and more so (my pride and joy) a beautiful yellow-bellied (and assumed Red Sea) 6" Pygoplites diacanthus (attached). Do I have good odds of success by adding an Asfur at this point, along with the Golden B/F pair, and if so in the 3"-4" range? A 6" Asfur currently available at LFS (attached pic shown with a Zebrasoma Xanthurum hiding in the back - he's been there for almost 2 months). At this size, the sparks might fly immediately with my resident 5" Mr. Z. - welcome your thoughts. In regard to quarantine (my QT tank is 30 gallons), I'm tempted to just do a freshwater dip on the Pomacanthus asfur and get him in the display (knowing he's been 2 months at LFS and a fine looking specimen). Simultaneously I'd get the pair of Chaetodon semilarvatus into QT. Or could I QT all 3 together? For interest ... my (intended RS biotype) currently includes the Regal Angel and Purple Tang as discussed, but also a Midas Blenny, 3 Female Lyretail Anthias, (with the largest starting to transition to male), a Blonde Naso Tang, 6 blue green Chromis and an Orchid Dottyback. My 100% biotype plan went out the window with the addition of the Majestic Angel. 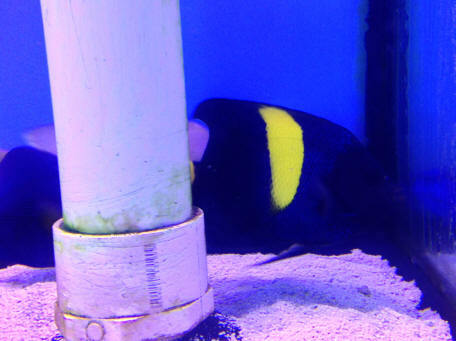 Additional non Red Sea specimens now include a Coral Beauty, a Flame Angel, Copperbanded B/F, a Twinspot Hogfish, 3 Royal Grammas, a diamond goby and the most recent Palette Surgeonfish that thankfully has been totally ignored by the Purple Tang for the last 24 hours. Took me years to convince my wife to have 8' x 2.5' x 2.5' tank "built" into a wall as we were designing our new house ... I dare not mention a "larger display tank". What are your opinions on the Red Sea Aquariums for salt water. Would these systems be a good decision for some one wanting to start out in the aquarium hobby? I have been reading and thinking about a Red Sea reef aquarium. However, I also prefer captive corals if possible (I lack experience). I was thinking of the following. Tank: ~150 gallons (60L * 24H * 24L), with 50 gallon fuge growing Gracilaria sp. and maybe Ulva for nutrient export. Skimmer: Reef Dynamics INS180E (with modded Eheim pump). Biological Filtration: 150 lbs ReefCleaners dead/base rock + refugium/tank activation kit including assorted detritivores and coralline algae from Indo-Pacific Sea Farms. Lighting: ATI Sunpower T5 unit: 60", 8 x 80 watt (58.5" x 17.5" x 2.1" (L x W x H)). There is one obvious concern here, and that is the trigger. While it will not grow large, and is not inherently a piscivore according to fishbase, it is a trigger. I could imagine him terrifying every other fish. The angelfish is one of the few reef safe ones from the Red Sea. Is this combination just too ambitious or ill-conceived? I am so pleased with your assessment, Bob. I will correct the clam snafu. It was a last minute addition. I had spent so many hours developing this plan that I finally decided to offer it up or forever have a theoretical tank. It is great that we have WWM as a resource for the kinds of specific questions that cannot be answered in any book, however great it is. Firstly hope you are all well and hope you all had a very Happy Christmas. I've recently been reading your articles on here about softies, especially the keeping of dendros and sclerons trying to get more of an understanding of the needs and requirements of these delicate corals. The reason I'm here is to say I have had an orange Scleronephthya in my tank for around 8-10 months now, it is only a very small piece that came in on a piece of LR I brought and opens up to about 2cm in height, can't believe how well it is doing to say how hard to keep these can be, it must be feeding well from when I supplement and feed the SPS in my aquarium. I am currently in the process of ordering a new marine set up, and would love to recreate a red sea looking reef with a shoal of Anthias and other fish that are found in this area of waters. I'm tempted to buy more Scleronephthya/Dendronephthya to create the look I'm after with vivid colours of soft corals, also gorgonians and sponges, I'm dubious in buying these though and was wondering if there would be any other corals you could recommend that could fit the bill of what I'm trying to achieve in my new set up. <Mmm, all sorts. Have been to parts of the Red Sea several times, diving, photographing. And have one section of a book re its habitats, organisms. Any help and suggestions would be most appreciated. Take care all and an early happy new year to you all for when it arrives. Thanks for the speedy reply, you gave me good reading from the links and an abundance of useful information as usual, I have also already made book purchases this morning for reference on corals and fish of the red sea. for my perfect biotope, obviously on a much smaller scale. Do you know of any books that would list all/most soft corals found in the red sea? <Mmm, none that I'm aware of... there are such checklists on various groups of the region... but hard to find. Peter Vine's work is largely incomplete. I have already purchased 'coral reef guide - red sea'. One last thing do you know what the long branches are coming out from the corals? would add nice height in the aquarium if I could find out what these are. (I'll send pictures of the tank when it is up and running, hopefully get some constructive criticism from the guys and girls on here). Just a quick one, and thanks once again. Found this for anyone else looking for red sea soft coral info, gives amazing pictures, coral names and also book lists for all you need, hope it helps others out, definitely worth a look. And like you would like to meet above and below the water with you All the best. you'll have to send me details of where and when you'll be diving, see if I can make arrangements to head over and catch a dive with you. I just wanted to thank you for the excellent recommendation of Emperor Diving in Hurghada. My wife and I had 3 solid days of diving there (as well as a night dive) and the Emperor staff were very nice, we felt safe and the whole experience was really great. Even the food on the boat was good! (and my wife and I are picky eaters so this was a big win for them haha). Anyways, I just wanted to say thanks! To whom this reaches I thank you for your time. I wrote to you about a month ago and Mr. Fenner answered in regards to a Red Sea Biotope for a 540 gallon FOWLR aquarium that was in the process of starting up. I thought my aquarium was just going to be the fish I had selected, live rock and fake corals from living color. After researching, visiting my local fish stores and watching marine documentaries I have come to the conclusion that I would like to have soft corals and lps corals as well. Now my problem is that I am about to purchase two Chaetodon semilarvatus and two Chaetodon auriga, from the Red Sea, and I have heard on many accounts from reefcentral.com to books to this website that butterflies are not reef safe at all. I think I already know the answer to the question I am about to ask but I just have to ask it anyway. Will I be ok adding these two butterflies with soft corals and lps in the aquarium? <Mmm, will all depend on what type coral species you have or plan on having. Chaetodon semilarvatus will eat most hard and soft corals, clams and tubeworms, but is generally safe with Sinularia soft corals. Chaetodon auriga prefers SPS corals and is generally safe with soft corals. Do keep in mind there are no guarantees. 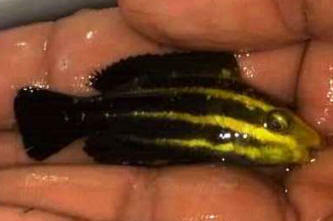 If you plan on keeping LPS and softies, the following Butterflyfish are generally safe with them. Above all else I care for my livestock and do not want my greed or desire get in the way of their well being. I plan on adding a Red Sea Emperor Angel as well. I have read first hand accounts of emperors being reef safe. I know each individual is different. Do emperors touch lps? I know they have been known to nibble on soft corals. <May want to read here and related articles/FAQ's. I just wanted to get your opinion on something. My wife and I are travelling to Europe in October, and I figured since we're all the way over there, I might as well try to dive the Red Sea! and was then looking into a place called Hurghada. I understand that you have done a lot of diving in the Red Sea and thought I'd ask if you have checked this area out? 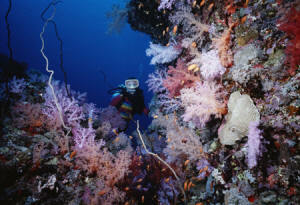 if not, perhaps you can recommend some of your favourite spots to dive there? Thanks so much for getting back to me Bob! So I have discussed it with my wife and she has done some research on the hotels etc in both places. My wife seems to have her heart set on the resort in Hurghada. We are not very social people so I think she prefers a smaller town and a more inclusive resort package. At the end of the day, I do what she says, as long as I get some great diving out of it haha. Is there a diving service/site in the Hurghada area that you could recommend? Or is the diving in Sharm considerably better than Hurghada? Is this a fight I need to win with her? Anyways, I really appreciate you taking the time to share your experiences with me.